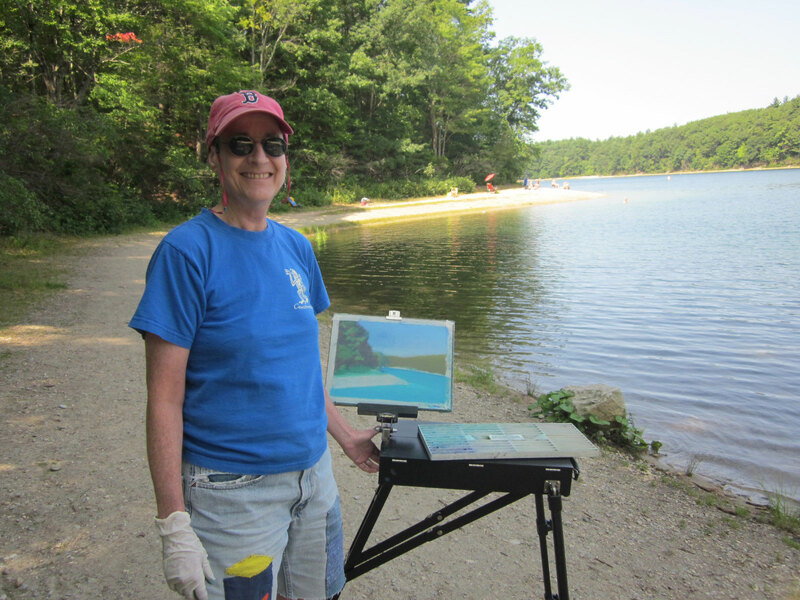 Anne Katzeff painting at Walden Pond. © 2017 Photo by Peggy Kornegger. Who needs creativity coaching? We all need to be creative, whether it’s as an artist, parent, entrepreneur or member of a corporation. Issues arise that require creativity, and creativity coaching enables someone to approach these issues in a way that is clear, consistent with that person’s values, and focused. But what exactly does creativity coaching entail? Creativity coaching involves first looking at what the creative goals are. Then, the creativity coach helps the client uncover the circumstances and practices that already foster creativity. Client and creativity coach will then explore ways to maximize these practices in the service of greater creativity as well as uncover other approaches to enhance the creative process. Welling Coaching in Somerville uses current research to help clients craft plans for enhancing creativity. In addition, through my extensive training as a therapist I am able to offer approaches outside the already-rich reservoir of creativity coaching methods. Approaches that enhance creativity coaching include self-administered acupressure to address anxiety and other impediments to creativity. EMDR (Eye Movement Desensitization and Re-Processing) can also help clients make the most of the qualities they already have which foster creativity. It can also help release blocks to creativity. Could creativity coaching enable you to better reach your goals? Contact me to schedule a complimentary 30-minute creativity coaching consultation to find out.